International Professional Pharmacist Resume Home of the Make a Free Printable Resume! Skills Summary: Pharmacist with more than 10 years of experience, including extensive background in administering government programs. Skilled in development record-keeping and patient profile systems and creating in-service training programs. Experienced in preparing budgets and monthly department reports. Experienced in serving as consultant to various medical staffs on medication interactions, adverse effects and appropriate dosages. Confidential Institute of Pharmacy, Somewhere in India, January 2007-Present. Assisting B.Pharmacy students to learn about subject of Pharmaceutics and their practical performing and also giving them brief knowledge about pharmaceutical machines those are used in preparing of medicines & their storage/maintains. Global Pharmacy, Retail & Whole sale of medicines, Opp-C.N.I.Church, college road, Distt-Ropar (Punjab) working as a Assistant Store Manager. (May 1999- Dec 2006). Prepared and conducted in-service training for staff and also prepared fiscal year budget and monthly reports. *Developed record-keeping system for pharmacy, including new forms for tracking medication received, distributed and returned, resulting in more accurate records and improved inventory control. *Created new patient profile system for Global pharmacy, which allowed for review of accurate, up-to-date patient profiles to determine medication interactions, adverse effects and appropriate dosages. *Dispensed psychotropic medication to outpatient profiles for medication interactions, adverse effect, and appropriate dosages using both manual and computerized processing system. Retail Pharmacist, Shurik (U) Ltd pharmacy ,Kapala Road Uganda (East Africa), (Sept 1997- April 1999). Dispensed unit does medication according to physician orders. Maintained patient profiles with emphasis on drug interactions and dosages and also explained to the patient about prescribed drugs and their dosages, interactions and adverse effects. 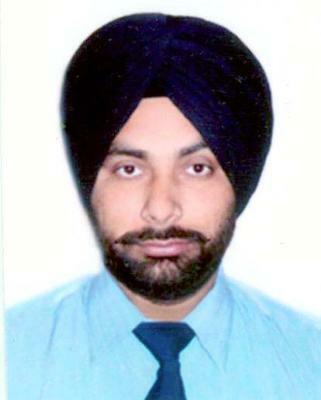 Bachelor of Pharmacy (April 2001), Punjab University, Chandigarh with 1st division. Diploma in Pharmacy from P.S.B.T.E. and Industrial Training, Chandigarh with 1st division in Jan 1996. Diploma in Business Management from Uganda, December 1998. Diploma in Pharmacy Technician, Thomas College of America, February 2002. Affiliations: Punjab Pharmacy Council 19045, July 1997-Present. English language, expert fluency, reading and writing comprehension. My dedication to professional excellence and technical expertise within the field of pharmaceutical science, offers immense value for your organization. In addition to my experience and credentials, my managerial skillsets are one of collaboration and employee-centered leadership. My work preference and salary consideration are reasonable and open for international relocation. Please contact Mr. Bal via the COMMENTS hyperlink below this page.